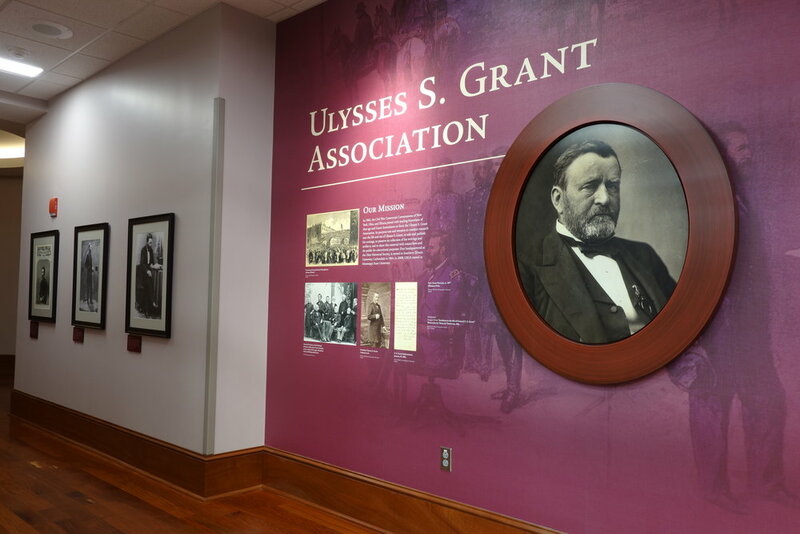 Ulysses S. Grant — Formations, Inc. Formations fabricated and installed 6,600 square feet of exhibits within two galleries at Mississippi State University. 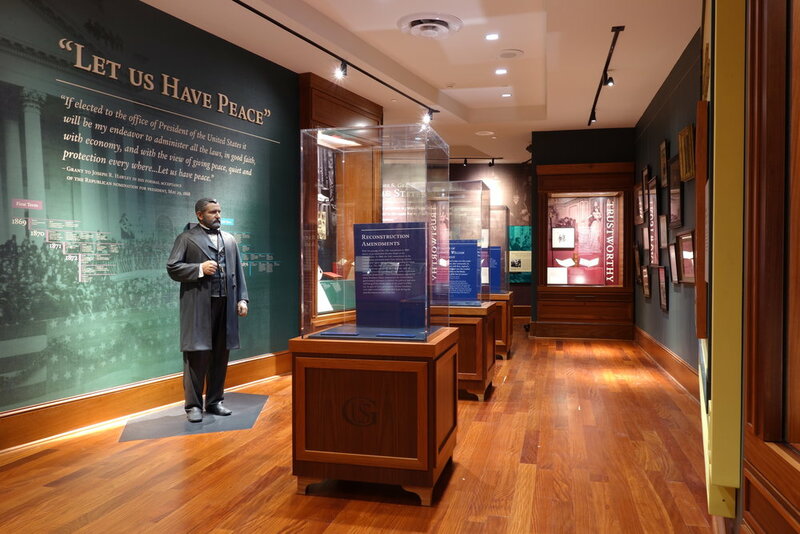 The exhibits present the four eras of President Grant’s life from his early childhood, his time as a General, his Presidency, and his time as Statesman. Grant’s character traits act as the main themes of the exhibit experience. 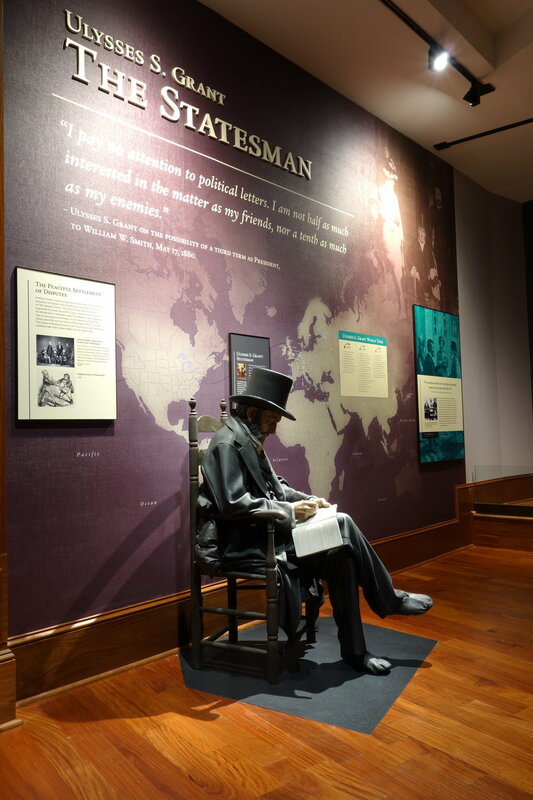 Media interactive programs allow visitors to explore more details of his family life, military and political career, and also allow visitors to leave comments on various areas of interest. Formations fabricated custom wooden cases to hold various historical artifacts and graphic displays. 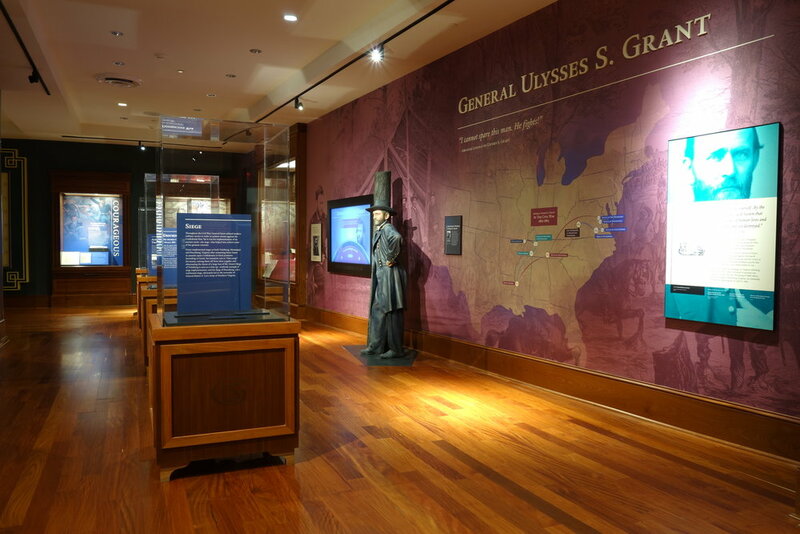 Visitors are immersed into the story of Ulysses S. Grant through the use of life-size models and AV displays. Extensive use of wall-murals as well as dimensional lettering and graphic panels brings depth and interest to the exhibit. Custom woodwork and a one-of-a-kind laser engraved medallion speak to the quality of the fabrication. Every detail matters when it comes to fabricating and installing an exhibit. Here, the light works with the pose of the model and the style of the graphic behind to establish the appropriate mood.